Beverly Wagoshe Kane, 85, lives in Pawhuska with her husband Francis Kane. They can be seen regularly attending mass at the Immaculate Conception Catholic Church in Pawhuska or attending evening mass in Hominy at Saint Josephs Catholic Church. She is the granddaughter of John and Agnes (Bigheart) Wagoshe and the eldest of five daughters of Russell and Della (Perrier) Wagoshe. She has six children, 13 grandchildren, 34 great-grandchildren and two great-great-grandchildren. When she was a child she was given her Osage name by the late Chief Fred Lookout, but she can no longer remember it. She attended a Catholic school in Pawhuska on the Osage Campus, “the sister’s school.” She said she had the most fun with the other girls who attended school there. 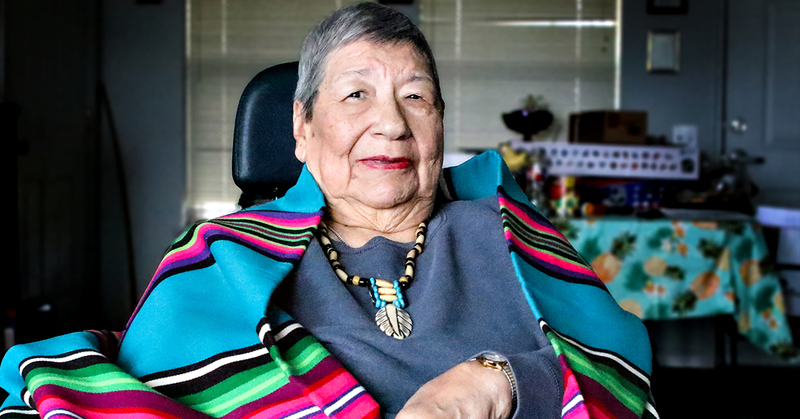 She attended high school at Chilocco Indian School and then nursing school in Houston, Texas. After she graduated, she joined the U.S. Navy and served her country as a nurse. After serving in the Navy she married her first husband Jerry Bledsoe, who is now deceased. Together they raised six children. She worked as a furniture factory worker and as a caregiver. Throughout her life, she has lived in Arkansas, Arizona, California, Oklahoma, North Carolina, Texas and Puerto Rico. 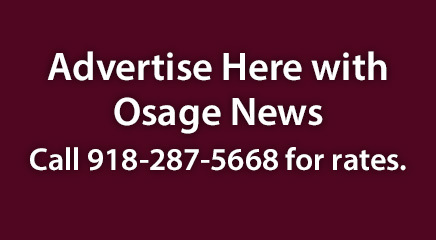 Osage News: How much has the world changed since you were young? Beverly Kane: Indoor plumbing and bathrooms. Instead of growing your own food, I can go to the grocery store. We played hand games. There were no electronic games. Children didn’t sass their parents, if you did you got a willow switch across your backside. News: Who is your hero? News: What was the happiest moment of your life? Kane: When I graduated from Chilocco High School. News: Who, or what, did you love the most? News: What is your favorite thing to do for fun? News: What was your favorite decade and why? Kane: The fifties and sixties. Loved to jitterbug, and the births of my six children. News: What world events had the most impact on you? News: What would you tell your 20-year-old self? Kane: To tell all my friends to enjoy themselves in my home, and to come anytime. News: What is your motto? News: What is your greatest regret? Kane: If I could do things over, I would be a kinder person. News: What is your greatest achievement?